Field Music’s Brewis brothers are master manufacturers of tightly constructed melodies, in the past adorned with orchestral chamber-pop sophistication on occasion, as well as a more guitar-driven prog-tinged direction on 2012’s Plumb. Their newest, Commontime, doesn’t represent any large stylistic shift at heart in terms of vocal delivery and tendency for hooks, though there’s certainly more of an ’80s tinge throughout in regard to the guitar tones and vocal hooks, epitomized concisely by the hook at 02:30 on opener “The Noisy Days Are Over”. There’s even a catchy Hall & Oates vibe on tracks like “Disappointed”, especially on the key-tinged hook (on that note, this release sees the welcome return of keyboardist Andrew Moore). Traditionally classified as prog-pop, Commontime lyrically was inspired by “the new family lives of both brothers”, and knowingly incorporates the R&B and funk tinges present in David Brewis’ School of Language project, as well as previous Field Music singles “A New Town” and “Let’s Write a Book”. 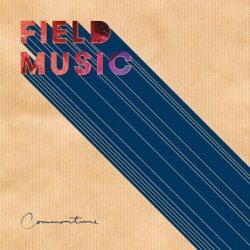 Parts vintage and parts fresh-painted prog-pop, Commontime is another excellent release from Field Music. 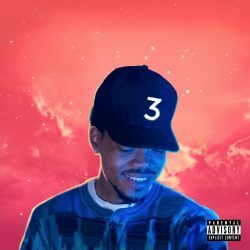 A mixtape with more substance than many full-lengths, Coloring Book is a highly eclectic release from Chance the Rapper. From the gospel-y brass of opener “All We Got” to piano-laden ballad “Same Drugs”, each song here sounds distinctively different, traversing from house-tinged synth-pop on “All Night” to morning-after groover “Smoke Break”. Perhaps most impressive from a production level is the joyous “Angels”, where steel drums and brass adorn a gospel-y choir and Chance’s playful delivery. When marimbas enter the fold, visions of enjoying life are easy to take over. With an ample array of producers and guest vocalists, it’s a marvel how cohesive this sounds despite the obvious separation between tracks. One of the greatest power-pop/rock bands of all time, Teenage Fanclub certainly sound older than the bursting energy of early ’90s material, but it’s to be expected — and this is really the audible form of aging gracefully and contentedly. The warm twang of opener “I’m in Love” is Teenage Fanclub ear candy to longtime fans and new ones alike, gently easing the listener into one of the most audibly inoffensive releases you’ll hear. Brimming with catchy and understated melodies, this is a lush accomplishment that emphasizes the group’s usual strengths, being organic guitar-based hooks and a warm vocal presence. The whole album gives off the vibe of appreciating the beauty of the present, aptly stated in the lyrics throughout the beautiful “Live in the Moment”. Criminally underrated and a huge influence of many jangly and power-pop-laden groups today, Teenage Fanclub have mellowed out a bit, but haven’t lost an ounce of their hook-laden charm. Angel Olsen’s voice alone is enough to send shivers up your spine, so it’s little surprise her early, more minimal acoustic-crooner material was effective. As time has passed, she has added to this sound, especially on the preceding and highly acclaimed Burn Your Fire for No Witness. The follow-up, My Woman, is my favorite of hers to date — utilizing her timeless and shape-shifting vocals, which can easily alternate from country-laden sweetheart on “Never Be Mine” to high-swagger rock ‘n’ roller on “Shut Up Kiss Me”, all without a hitch. The beautifully enthralling and longing opener “Intern” shows glimpses of an added electronic edge to her sound, with a haunting synth pad and trickles enveloping the soundscape. It’s a stunning opener that establishes the mood for a release that successfully shows the continuing evolution of a truly gifted and increasingly ambitious singer/songwriter. It isn’t the only genre to fall victim to commercialization, though country music’s commercial side is particularly evident. That glitz and glamour can cause truly gifted artists in the style to go overlooked. In regard to Sturgill Simpson, he’s classified as a country artist, and he truly is — in the sense of Waylon Jennings and Merle Haggard, with a modern eclectic touch. He reminds of the genre’s potential for emotional-scaling grandiosity and beauty. 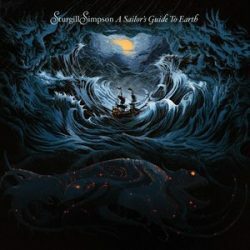 Simpson’s gorgeous release A Sailor’s Guide to Earth navigates everywhere from symphonic ballads to Springsteen-esque brass-laden rock ‘n’ roll (this variation is evident on the opening “Welcome to Earth (Pollywog)” alone), with lyrics chronicling everything from the beauty of a child’s arrival to struggling with personal demons. With deeply reassuring vocals and a symphonic glaze of folk, soul, rock and country intermingling for what’s often a stunning result, A Sailor’s Guide to Earth is mandatory listening for any music fan seeking the best from 2016. This psych-friendly Londo duo’s second album, The Soft Bounce, is a journey through various styles, all contained within an amiable, relatively trippy point of nostalgic entry. “Diagram Girl” is an atmospheric touch of surf-y chillwave, with reverbed vocals and effervescent synths helping guide a bright feel. Meanwhile, the warbled psych-pop punch of “Creation” reminds strongly of Stereolab, and complementary so. That Caribou-like hook at the one-minute mark is bliss. The heavenly string-laden choir of “Tomorrow, Forever”, the McCartney-like string-pop pulls of “Door to Tomorrow”, the electronic drum excitement within “Black Crow”… these tracks vary quite a bit, though all succeed tremendously in regard to captivating the listener by providing an endless turn of new twists on familiar genres. 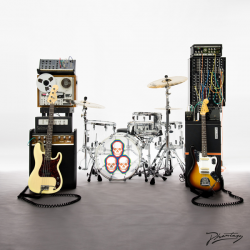 The Soft Bounce is a strong accomplishment from the psych-loving duo of Erol Alkan and Richard Norris. 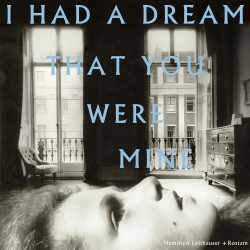 Hamilton Leithauser is able to starkly evoke the feeling of longing simply through the use of his vocals, as he long showed with The Walkmen. That continues on I Had a Dream That You Were Mine, the first release from his recently formed project with Rostam Batmanglij, formerly of Vampire Weekend. Here, Rostam’s ambling soundscapes seamlessly accompany Leithauser’s distinct and powerful vocals. “There’s a lot of synth and sub-bass, and we have drums that almost sound intentionally programmed in parts,” Rostam noted, aptly enough – as those elements breathe an extra charm into Leithauser’s enthralling vocal presence. Tracks like “A 1000 Times” and “In a Blackout” are anthems of angst and inescapable yearning that make even the happiest listener feel as though their heart is being cut open, even as Leithauser’s croon can provide a hint of hope in his tonal exultation. Fans of The Walkmen received a new installment of Leithauser’s sonorous vocals and an overall style that does not venture far, though still adds enough newness to justifiably separate from his past endeavors. Legendary hip-hop group A Tribe Called Quest is certainly star-studded – featuring the likes of Elton John, Kanye, Jack White, Kendrick Lamar, and André 3000. For a typical veteran group this would signal attempting to compensate for run-out ideas. Tribe aren’t typical though; this supporting cast is comprised of many directly influenced by the group, and are therefore more than willing to slide into whatever’s being given to them. 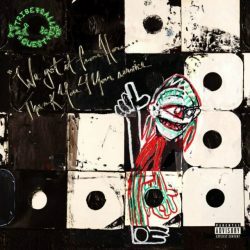 The death of Phife in the beginning of the year put a damper on what would have been a triumphant year for Tribe regardless, though Q-Tip has admirably held down producer duties, alongside some familiar faces in Consequence and Busta Rhymes. The experience shows, as they traverse across otherworldly electro-pop, reggae-tinged infectiousness, and old-school jazz-infused hip-hop. “Kids…” is utterly brilliant especially, with André 3000’s Chick-Fil-A nuggets quips being one fun element constructing a very amusing take on youth today and yesterday. “Ego” and “Conrad Tokyo” also shine on a very strong back-half. Tribe and their collaborative cast here all smash it out of the park, producing a jam-packed release that impresses on multiple levels. 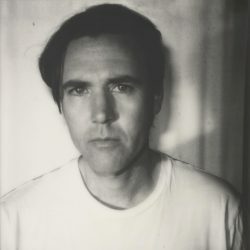 Mangy Love is another tasteful and captivating release from Cass McCombs. On his eighth LP, the singer/songwriter’s weary and lonesome vocal edge works around beautiful twangs, as on “Medusa’s Outhouse”, and tropical rhythms, evident on “Run Sister Run”. 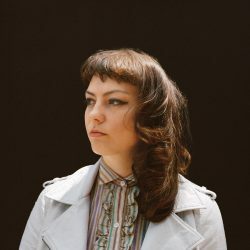 Recently listed Angel Olsen also makes a stellar vocal cameo on “Opposite House”, with a slow-burning rhythm section and entrancing vocals leading. HOOPS is another memorable guest, on psych-rocker “It”. Despite the numerous guest appearances, the album stays low-key in typical McCombs fashion, generally timeless-sounding in its sincere rock twanginess while providing variation in the form of well-placed guests and rhythmic variation. Blonde is a relatively perplexing release, partly the byproduct of attempting to follow up a modern masterpiece in Channel Orange. That album’s pop appeal and immediate hook tendency is mightily hard to beat, so hearing Ocean explore a more experimental side that stresses unpredictable – though still melodically fluid – twists and turns can be simultaneously thrilling and puzzling. When Ocean gets it right, he does it with genius precision. 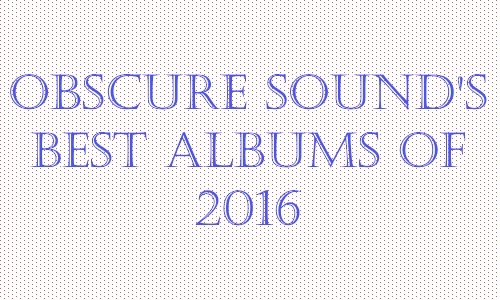 The album’s highlight, “Nights”, is an example of this — one of the year’s absolute finest. Chiming guitars and a playful delivery carry the verses into a stunning hook, beginning at 01:41, where static-y synth pads and a bouncy clang complement beautifully yearning vocals. Tracks like “Solo” show a great demonstration of soulful atmosphere and production, even if absent of a hook (beyond that nicely implemented Todd Rundgren sample). “White Ferrari” is a nice epitome of what’s here, presenting moments of soulful hook-laden clarity in between bouts of experimentation, hitting and missing at points, though more frequently hitting. 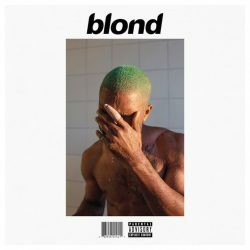 While more inconsistent than Channel Orange, Blonde is certainly more ambitious and risk-taking. It’s a fascinating listen from an ever-changing songwriting.